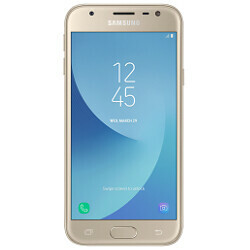 Samsung Galaxy J3 (2017) is already available in the United States since May. Major carrier AT&T offers the entry-level smartphone for just $179.99 outright, but if you're looking to buy one over the pond, you won't find one yet. Well, not if you don't live in Austria where Samsung has just launched the dual-SIM version of the Galaxy J3 (2017). Unfortunately, the handset maker did not reveal the price for which you can get the phone, but it does allow customers to see where they can pick up the handset.